Studying abroad is like any travel: It inspires you to see things in new ways. We invite you to study in Denmark – to be inspired and to gain an excellent foundation for your future career. Whether you are interested in a research-oriented programme or more hands-on vocational training, you will have plenty of options in Denmark. 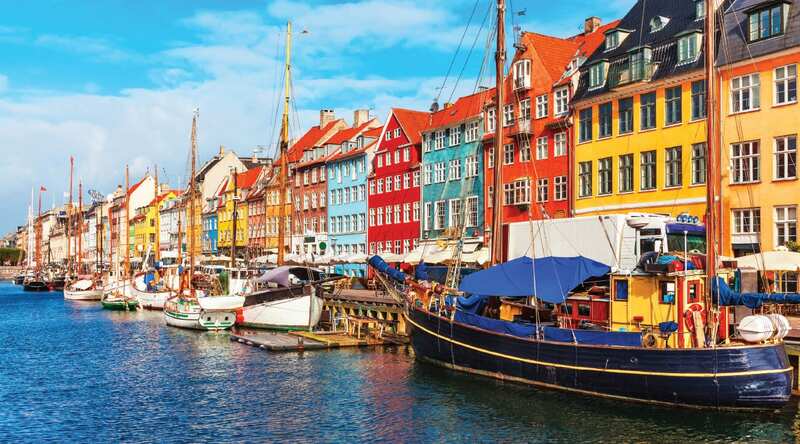 As an international student in Denmark, you can choose between more than 600 degree programmes and 1300 courses taught in English, with an array of degree options: Academy Profession, Professional Bachelor’s, Bachelor’s, Master’s, or PhD. You can also visit as an exchange student or attend a Danish summer school or short-term programme. You can study either for a full degree or add credits to your current degree. Subject areas cover a wide range of disciplines, including science, technology, pharmaceutical sciences, business, architecture, design, humanities, and much more. 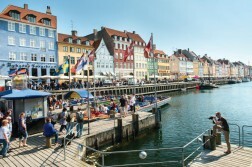 Denmark is a kingdom of thriving cities and idyllic landscapes. It is an innovative society with a green lifestyle. Denmark is located in northern Europe and is part of Scandinavia. The country consists of the Jutland peninsula, the larger islands of Zealand, Funen, and Lolland-Falster. There are 429 other named islands between the North Sea and the Baltic Sea, 72 of which are inhabited. Nowhere in Denmark is more than 50 km from the sea. And just a few kilometres from Denmark’s major cities of Aarhus and Copenhagen, you find idyllic villages and pristine woodlands and lakes. 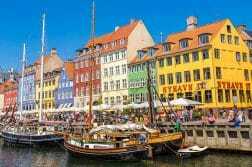 Denmark’s location also makes it a gateway to other Scandinavian countries and the rest of Europe. Berlin is just an hour’s flight away. London and Paris can be reached in less than two hours. And Barcelona, Rome, Vienna, and Prague are all also just a short plane ride away. www.denmark.dk – the official website of Denmark. Each year students from around the world come to Denmark to pursue a quality education in a friendly, safe, and innovation-driven environment. What they get is outstanding quality in a wide range of educational areas such as health, engineering, and social sciences. With their different perspectives, they also contribute to creating a diverse and inspiring Danish learning environment. In Denmark, higher education is focused on bringing about solutions for the real world. Thus, traditional lectures are combined with industrial collaborations and teaching methods that promote students’ ability to use what they have learned and to turn new knowledge into innovative solutions. As a student in Denmark, you will attend lectures, study independently, and undertake projects on your own and in groups of students. 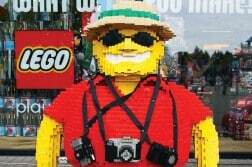 These projects will challenge you to think freely, to use your initiative, and be creative. They will also give you experience in using new knowledge to solve complex, real-world problems. This way of studying requires a high degree of personal initiative and independent thinking. Thus, for some, studying in Denmark can be challenging and different from what they are used to. We feel confident that it will inspire you and help you succeed in whatever you decide to do in life. The Danish educational system is designed to promote creativity, innovation, and analytical and critical thinking. You will be met by an up-to-date learning environment, where you can learn from industry experts and undertake internships in internationally recognized organisations. Furthermore, global partnerships between higher education institutions, businesses, science parks, and public research institutes ensure that study and research in Denmark reflect the latest knowledge and meet the needs of a global labour market. On www.studyindenmark.dk, you can find blogs, testimonials, interviews, and videos with international students that share their experiences about studying in Denmark. Read more about what to study, where and how to apply on our website www.studyindenmark.dk where you – amongst other things – will find information about and links to educational institutions. On our Facebook page you can also follow the latest news, information and suggestions about studying in Denmark, and get answers to your own questions. So don’t hesitate to connect with us! Studyindenmark.dk is a Danish government website about higher education in Denmark for international students. The website contains academic and practical information about studying, living and working in Denmark. The website is run by the Danish Ministry of Higher Education and Science.